Andrew is a craftsman on the make – he turns trash into treasure. Andrew knows how to work with his hands, using his newly found talents to create objects of function and beauty. 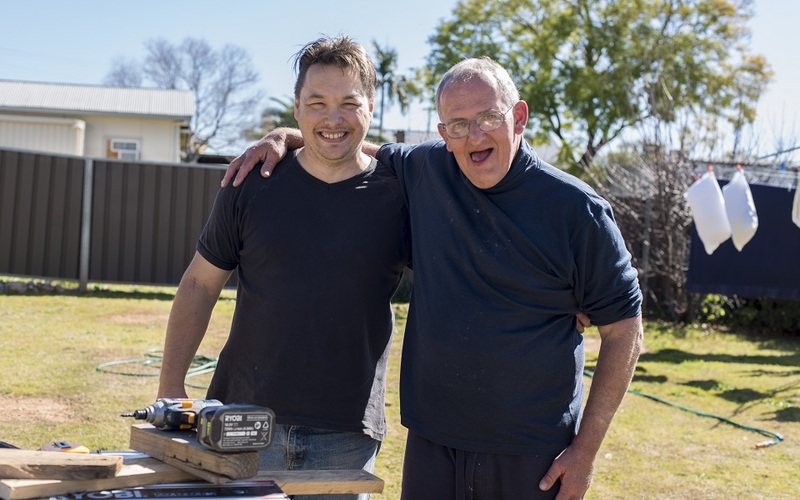 Alongside his Support Worker, Jason, the two use old pallets to build everything from planter boxes, to outdoor seating and tables. 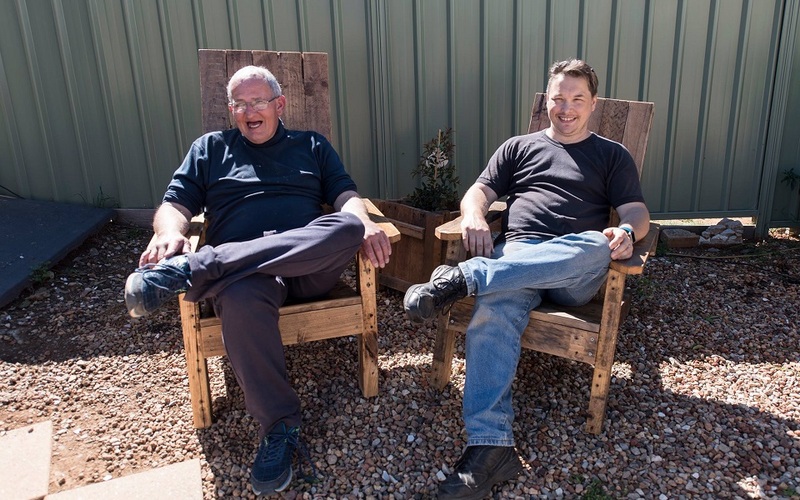 A passing hobby has developed into practical woodworking skills for Andrew and Jason. Trying new things has given Andrew growing confidence, a sense of achievement, companionship and laughter. From Andrew’s backyard shed they are not just building furniture but a bright future.